Skater dresses are the ultimate figure-flattering style. Designed to fit the bust and flare at the waist, this shape has the curve factor that you've been looking for. Available in UK sizes 16 to 36, our range has options to suit every occasion. From lacy evening dresses to casual jersey staples, shop new-season must-haves below. 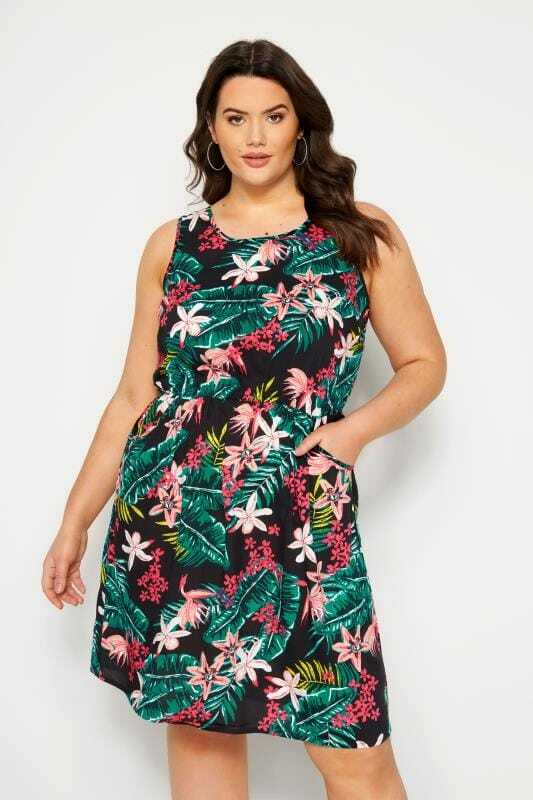 Give your casual wardrobe a fashion update with one of our plus size skater dresses. From staple jersey fabrics to patterned woven designs, our range has a selection of options that are perfect for everyday wear. Team plain dresses with a denim jacket and a belt for a low-key look or make a statement with bold prints and dramatic color palettes. 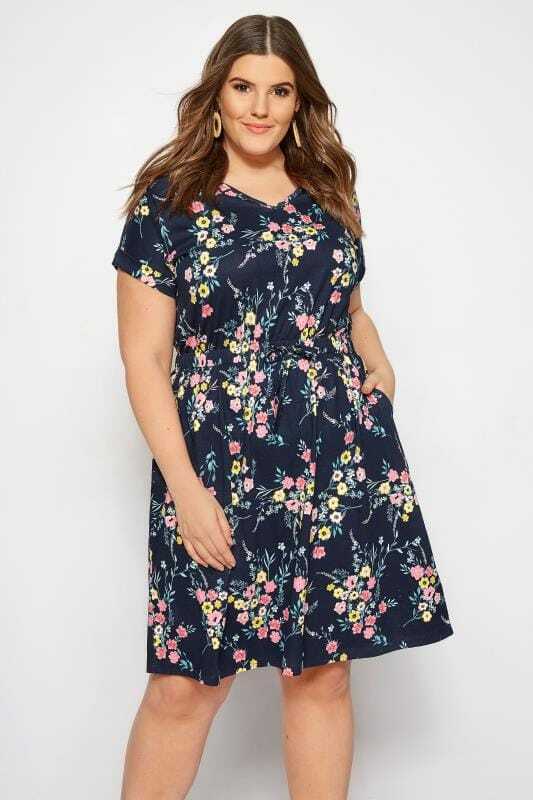 Combining fashion and function, our range of plus size skater dresses are stylish and comfortable. Perfect for creating a smarter look, team plain black bases with a blazer and court shoes for an on-trend office appropriate outfit. Choose from sleeveless styles or opt for a skater dress with sleeves for extra coverage. Turn heads in a skater dress from our evening and party range. Whether it’s a special occasion, a wedding or prom, we have your look covered. From glamorous lace skater dresses to flattering wrap over styles, look and feel fabulous with our plus size collection. Simply team dresses with high heels, statement earrings and a clutch bag to finish the outfit.